§ 14-400. Tattooing; body piercing prohibited. (a) It shall be unlawful for any person or persons to tattoo the arm, limb, or any part of the body of any other person under 18 years of age. Anyone violating the provisions of this section shall be guilty of a Class 2 misdemeanor. 1. Do not EVER....EVER call a tattoo a "TAT", you don't sound cool and it's annoying. 2. Do not move or talk with your hands, tense your muscles or sing out to your friend to get you a beer. 3. Do not fart or burp in the tattoo artist’s face, you'll probably get severely hurt. 4. Do not ask the tattoo artist how long it took to get his/her tattoos done or how much they cost. 5. 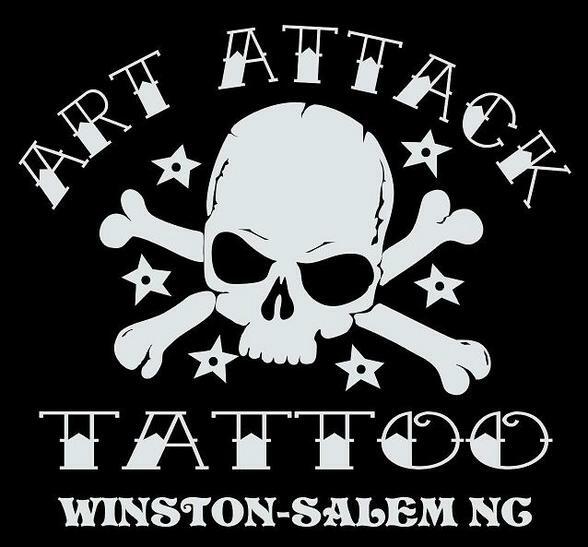 Do not ask your tattoo artist who's the "best" artist in the shop- we're all equally awesome. 6. Unless you can, do not EVER use the term "slinging ink" or any variation of the term. 7. Do not ask the tattoo artist if it’s going to hurt- it is, probably worse now! 8. Do not ask the tattoo artist if he can ‘numb’ the area first- he won’t, but the needle will. 9. Do not ask the tattoo artist if anyone has ever stopped in the middle of a tattoo-why, are YOU planning to? 10. Do not call a tattoo machine a "gun!" There is no such thing as a "tattoo gun" unless you're in prison. 11. Do not ask the tattoo artist how many tattoos he does a day or how much money he makes. 12. 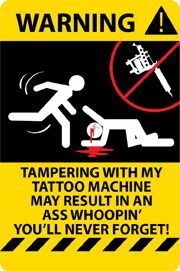 Do not ask the tattoo artist what the different machines are for, he knows you don't, like you'd know the difference. 13. Do not ask the tattoo artist what sort of ink he uses, it's the good stuff, like you'd know the difference. 15. 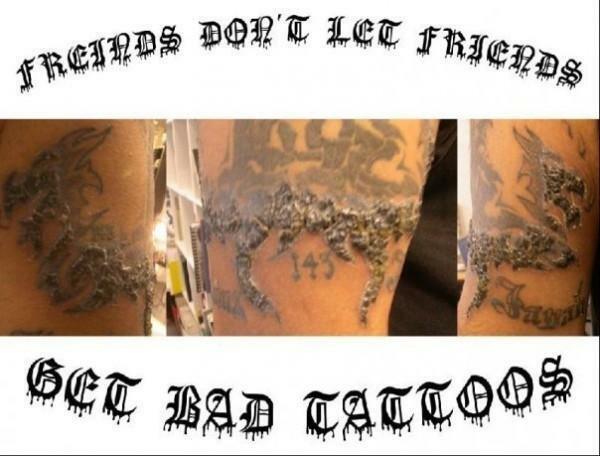 Do not text or use your cell phone while you’re getting tattooed. In fact, turn the damn thing off unless your wife is "expecting." 16. Do not tell the tattoo artist that you have a friend who can draw really ‘good’ and would make a great tattoo artist, if only someone would give him/her a chance. If we got a dollar for everytime we heard that, we could retire to the islands. 17. Do not tell the tattoo artist the story of the guy you let tattoo you who made a tattoo "gun" out of a cassette motor, toothbrush, and a guitar string. He/You now probably have Hepatitis and him and his dumbass friends won't be around much longer! 18. Do not tell the tattoo artist that it doesn't hurt anymore, they can and may make you piss yourself. 19. Do not look directly into the eyes of your tattoo artist, and Please Do Not Attempt To Heckle The Artist, As He Is Likely Armed, Under The Influence Of Prozac, and Extremely Volitile. Finally it's done! You look at the finished tattoo and it exceeds all your wildest expectations. It shines like gold and you marvel at the precision, the artistry, the skill in application, and the bright colors. 1. It's Beautiful, it's Excellent, it's Brilliant, it's Fantastic! 2. You are the most brilliant and talented artistic genius in the whole world and I will be eternally grateful to you for the rest of my life! 3. You're amazing....here's a $100 tip for doing such a great job! Although we do take walk-ins, a majority of our work is done by appointment. Our schedules fill up several days sometimes weeks in advance, especially for weekends, so it's best to come in at the beginning of the week. We do not charge extra for custom designs, unless it's rather large. We do require a Non-Refundable Deposit when an appointment is booked. NO appointments are made without a deposit, or over the phone. sun and water activities as there is no direct sunlight, or swimming for 2 weeks on a new tattoo! North Carolina requires you be 18, to be tattooed or pierced, you must be 18 years old and prove it. If you are under 18 a parent or legal guardian must be present to sign for you for PIERCINGS ONLY! Piercing a minor is at the piercer's discretion. If you forget your I.D. you can forget your tattoo or piercing. No smoking, drugs or alcohol are allowed in our studio.....EVER! It is illegal for us to tattoo anyone under the influence and we will refuse service to you if you are. NO EXCEPTIONS!!!! EAT WELL AND BE RESTED! It's no fun to do anything on an empty stomach or a hangover. DON'T OVERDO IN THE SUN! Prior to your appointment, use sun block on the area to be tattooed. If you are sunburned (even just a little) we will not tattoo you. When skin is irritated or peeling it is impossible to do a perfect tattoo. Always use sunblock on your tattoos, this will prolong their beauty. We do have privacy rooms, and we suggest you wear loose clothing or a bathing suit if you are getting a tattoo within the tan line. We do protect your clothing, but please try not to wear white clothes to get tattooed. "The Bitterness of Poor Quality is Remembered, Long After the Sweetness of a Cheap Price is Forgotten"
WE DO NOT WANT YOUR FUNK!!! We have missed an unbelievable amount of work due to inconsiderate people sharing their crap with us. So, if we so much as hear you sneeze, sniffle, or cough around us, or even suspect you may be harboring some sort of viral or fungal bacterial funk, you WILL be asked to leave or reschedule your appointment, please don't act hurt, shocked, or surprised! You have your fresh new tattoo, and you want to take good care of it! From this point on, your artist is not responsible for any infections or problems you may have with your tattoo if you don't take proper care of it. It is very important that you follow these guidelines. A really beautiful tattoo can turn into a disaster if the proper aftercare is not taken! Your artist took the care to cover up your new tattoo for a very good reason - to keep air-born bacteria from invading your wound. Yes, as pretty as your new tattoo is, it is still a wound. Open flesh is a breeding ground for bacteria and infection. Leave the bandage on for a minimum of two hours. Excitement of having a new tattoo will make you want to remove the bandage so you can show your friends, but your friends will just have to wait. If you prefer, you can use a specialty product to heal your tattoo, such as After Inked. Use these products as directed and until healed. After washing your tattoo, pat (DO NOT RUB) the area with a CLEAN towel or paper towel to dry. Apply a very light coating of your choice of ointment. After Inked is our first choice, but if you don't have any, A&D vitamin enriched ointment, Bacitracin, or a similar antibacterial ointment is acceptable. Use the ointments for no more than 3 days, After Inked may be used for the entirity of the healing process! After that, continue to keep it clean, you can use lotion or cocoa butter after the first 3 days when needed instead of ointment, to keep the skin moisturized. Whatever lotion you use, it should be dye and fragrance free. We have had great success and excellent results with After Inked and we highly recommend this product for healing any tattoo. There are many views on what product is best, see what works best for you and your skin type. BATHING, SHOWERING, HOT TOBS AND SWIMMING! Yes, you can (and should!) shower with a new tattoo. It's OK to get your tattoo wet - just don't soak it. Submerging your tattoo in a bath or hot tub can cause damage, so you'll want to avoid those for at least 2 weeks, but showering is perfectly fine as long as you don't saturate your tattoo for prolonged periods. Just make sure you wash and rinse it well. Swimming - whether it be a pool, fresh water or salt water - should be avoided for at least 2 weeks. After a few days, you will notice some peeling. You will also start to itch, just like a sunburn when it begins to heal. 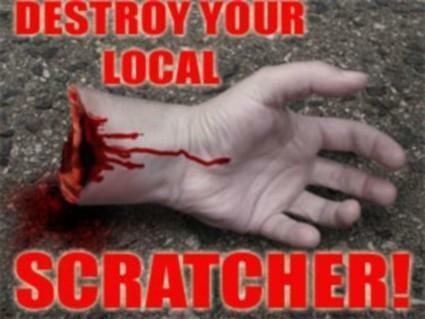 The advice here is, DO NOT PICK, and DO NOT SCRATCH! If the skin itches, gently slap it. If it is peeling, put lotion on it. Your tattoo is almost healed, and now is not the time to ruin it! IF YOU HAVE ANY PROBLEMS, QUESTIONS, OR CONCERNS, PLEASE CONTACT YOUR ARTIST, NOT YOUR FRIENDS! WE DO THIS EVERYDAY... THEY DON'T!! !